Practical Accounts and Bookkeeping in easy steps provides assistance for anyone unfamiliar with accounts either already in the business world or waiting for that crucial moment to enter it. 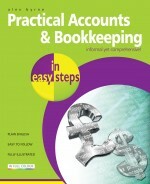 From understanding accounts and why they are important, the legal documents required when preparing accounts, what happens if accounts are not submitted in time and when accounts need to be sent to authorities, to the more complex scenarios of creating a balance sheet using sales ledgers, purchase ledgers and nominal ledgers, this book shows you how in easy to follow steps. This book will help you make sense of the 'daunting' accounts world. It will help you to spot problems in the accounts and explain them to others using the correct terminology. 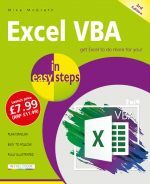 It will show you how to get to grips with Double Entry bookkeeping, and its importance, together with how computer software has been designed to simplify the processes. This book is certain to help the non-accountant understand businesses finances, assisting in making your company as successful as possible. 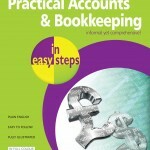 Learn accounts and bookkeeping basics for free!